She always says she wishes she could go with me to the trails, and I never thought it would be a good idea until she's older, but a guy had his 9 year old out there yesterday, which got me to thinking. Does anyone else make a hardtail with front suspension for kids? I'd like to keep it 10-speed or less until she really learns the gears. P.S. Wish I were this good and I was made out of rubber. Those are the moments I look forward to with my daughter...her realizing she can do something "those guys" (to quote the kid) do. Even on an adult bike being ridden by a serious rider, until a suspension fork gets to about the ~250ish dollar mark, they are mostly for show. "The bike to which this is attached is a mountain bike!" The extra weight over a rigid fork just doesn't net a performance gain until you have a pretty high quality fork. 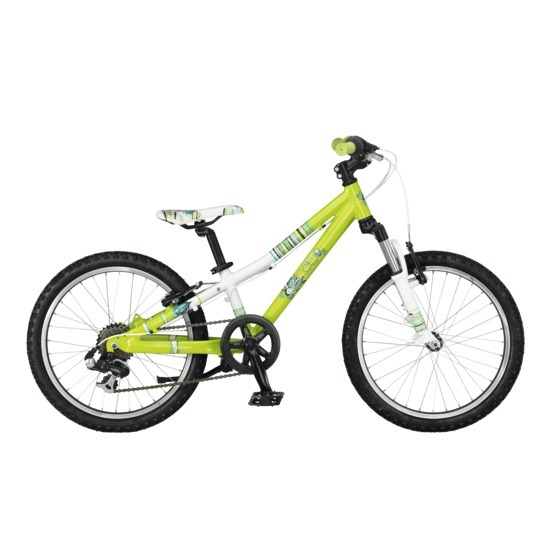 So if you find a great fitting, great looking bike that a child likes, go for it, even if it doesn't have a suspension fork. Good luck! I also found this Revel Jr from Giant, looks like a great bang for the buck. How about a fork with V-brake mounts for the bike your daughter already has, and call it a day? Maybe also a rear wheel without the coaster brake. At a certain point, reconfiguring the build on your daughter's bike will stop being cost-effective. But since they're the same frame and a lot of the components that go onto kids bikes are available quite cheaply, or cross-compatible with BMX stuff, some trim changes that allow back-pedaling and ratcheting and give front braking may be less expensive than buying another bike. Still price some bikes from other parents. My team has a small fleet of children's bikes that have been making the rounds. Since kids grow out of these things so fast, they get traded a lot. Posted some different "kids" trail bikes in the thread below, other people had some great options as well. There are a LOT of trail kids bikes now and manufacturers seem to be giving the market more attention. Thank you for your reply, but we went ahead and went for the Giant Revel Jr. Plenty of ideas on custom builds there and really depends on how much you want to spend. There are usually plenty of geared 20 inch bikes for sale on CL. Since kids out grow them so fast I'd look there. I found a Shred 2.0 for $250 on CL in mint condition. Threw on some pink bits for her and she loves it. One thing with kids, I lot of the dads on the forum have found grip shifts to be hard for kids and swap them out for triggers. I personally would wait until she was ready for a 24 inch bike and put the money there. I bought my son a Marin Bayview Trail Disc watched ebay for deals and replaced just about everything but the frame. Last edited by TwoTone; 01-17-2013 at 07:10 PM. Thanks for your input but I went ahead and purchased a Giant Revel Jr for her. Missed that sorry. Well if she end's up loving trail riding, check out the Family riding thread for all kids of great kids 24 inch or 26 EX frame builds. It's been about a week, so I thought I'd share how the Revel Jr is working out for any interested buyers. The bike as a whole is a good bike, albeit a tad heavy...although I'm not sure if that's a bad or a good thing...seems to help her keep it steady since it has such a low center of gravity. The tires on it a very good, haven't noticed her slip on the trails yet, and they don't pack up in the muck either. It comes with a kickstand that we removed, it came down on a particularly fast part of the track and threw her off...she didn't get hurt, but once she realized it was the kick stand she says "I hate that thing, can we take it off?" so it's off now. I also like the cover over the rear derailer, which is very helpful in keeping it clean and safe now that there isn't a kickstand. I had to adjust the brake levers, as they are a big far out and she was having a really hard time grabbing them, but that is resolved now. The only real complaint is the shifter. It's marketed as "Easy-to-operate Twist shifter" but she has a hard time with it. She can shift up just fine, but she cannot shift down at all. I dont know if this is adjustable or not. It's to do with how the twist shifter operates. It needs enough resistance to stop the bike from up-shifting by accident, so when someone up-shifts on purpose, the derailleur spring is working in the same direction. When someone down-shifts, she has to fight both the derailleur spring and the resistance in the shifter. There are supposed to be some nicer twisters that use a ratcheting device and are better. I haven't used one, so no comment on whether or not it works. Higher-end triggers also have a lighter throw. And sometimes, people just set up kids' bikes in a good gear and leave it there. The only singlespeed bike I ride at the moment is rather pointedly singlespeed, but I gotta say, a lot of people overstate their "need" for multiple gears. I'm not sure how old I was before I got my first geared bike. Probably 14, actually, but I didn't really ride from when I was 8 until then. Funny thing is that I hated twisters because I shifted them by accident. She normally puts it in 2 and calls it good. Seems to work so far. I'll likely try my Rapid Fire shifter on her gike after I upgrade...see how that works out for her. keep us posted, my boy just turned 5...taking to BMX track for first time. He is an amazing rider...been trainingwheelLESS for over 6 months...he's a bit quirky though and gets frustrated and upset when he can't do something perfect (hmmm, maybe he's got his ole man's genetics after all). If you can find an older 24" wheel "Specialized Hemi Cruiser" they stopped making them a few years back. It's designed for racing (single speed) but with a better wheel set, you can make it AWESOME, light weight, and easier for the kid to "handle". My son rips on his and LOVES it more than his 18" BMX bike! He rides it on slopestyle trails, dirt jumps, skate parks, and does some pretty big drops on it! He is 7 years old, and is 4' 5" and it fits him perfectly now....but he had to grow into it. Check out a vid of him shredding on it! also...check out Lil Shredder's Bikes (lilshredders.com). The best hardtail and downhill bikes for kids and made strictly "kid specific"! Check them out! That kid is 7? Holy ****! nice! If she still doesn't like to shift after you make that switch, consider turning the bike into a singlespeed. If I understand the spec correctly, it would be a very straightforward conversion. Just replace that massive freewheel with a BMX driver with a tooth count matching what she likes and get a chain tensioner. The tensioner requires a little more research - something like the Surly or Forte tensioner is the "off the cuff" option, but I think it's worth reading some reviews. My singlespeed experience is on my track bike and on a ten-speed with horizontal dropouts I converted, so I haven't dealt with tensioners. BMX drivers come in two (or more?) threadings, so make sure to get the one that matches a threaded hub for mainstream bikes. It's kind of amazing how much weight a bike can drop if one starts stripping off things like heavy derailleurs, heavy freewheels, heavy kick stands... I revealed a much more fun bicycle when I did that to the cheap ten-speed I rode in my old city. One of the quandaries for parents of small children is whether certain features are worth the weight - these bikes are proportionally very heavy, and often the technologies that make things like suspension forks worthwhile on adult bikes aren't used on kids' bikes. Frame and fork materials can sometimes be shockingly heavy choices too, like "hi-ten" steel. Since kids also have rubber bones and pretty ridiculous proportional strength, stripped and rigid can be a great way to set up their bikes; one like that is circulating among the parents in my team, I think. Wasn't sure if you read this earlier? Definitely check them out for an option! ...check out Lil Shredder's Bikes (lilshredders.com). The best hardtail and downhill bikes for kids and made strictly "kid specific"! Check them out! He's awesome. Make sure he stay motivated! That's actually why I went rigid instead of getting the Specialized, that and price. I want her to learn the gears, so I think we'll stayed geared until she has learned it at least. There's a race coming up next month and she is determined to be a part of it, so we're training a lot, and she's determined to learn the gears. They look truly awesome, but whoa what a price. Not yet ready to get a boutique bike for my kid haha. When I was growing up there wasn't much spare steel around and my Dad was overseas. 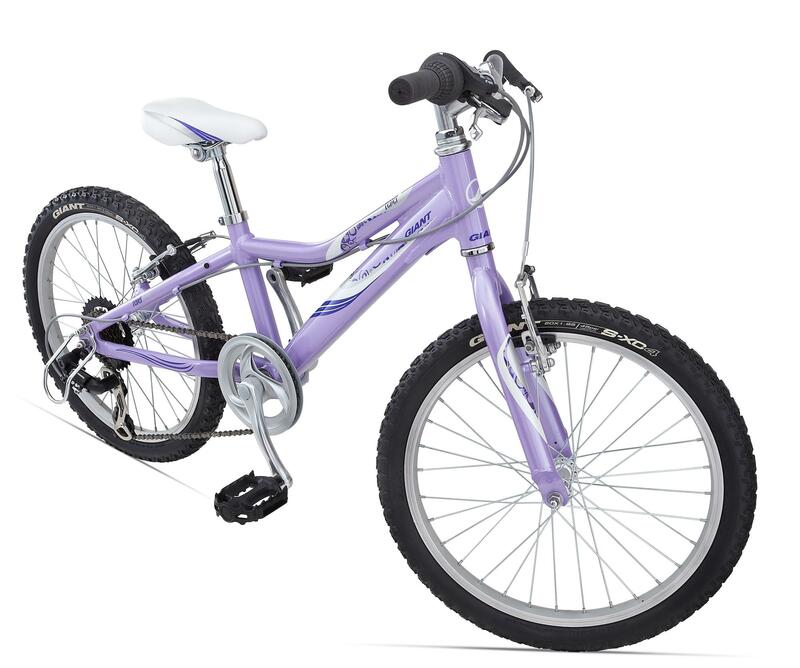 Granddad told me to use anyone elses bike i could get and he would spring for 15 maybe 20 bucks for a bike on my 8th birthday. Some great videos and pics. I wish I was half as invincible as I was when I was kid. OP, two thumbs on on being a good dad and taking your kid out. Hi everyone! There are currently tons of new bmx bikes for kids now available. You have an Eastern Bikes Shovelhead, a Dk Intervol Bmx Bike With Teal Rims, a Diamondback 2012 and many more. You could buy him a new bike that he could have as back up. This site may also offer you more: squidoo.com/bmx-bikes-kids.